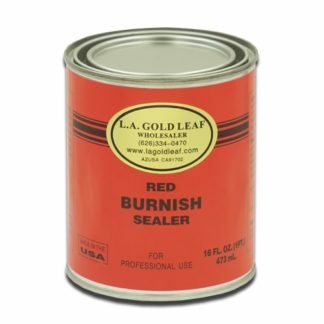 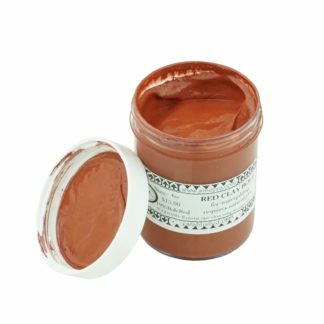 L.A. Gold Leaf Aqua Size (Indoor Use) - L.A. Gold Leaf Wholesaler U.S.
A clear water-based gilding adhesive (size) formulated for all interior leaf and vertical exterior work where extended tack time is required. 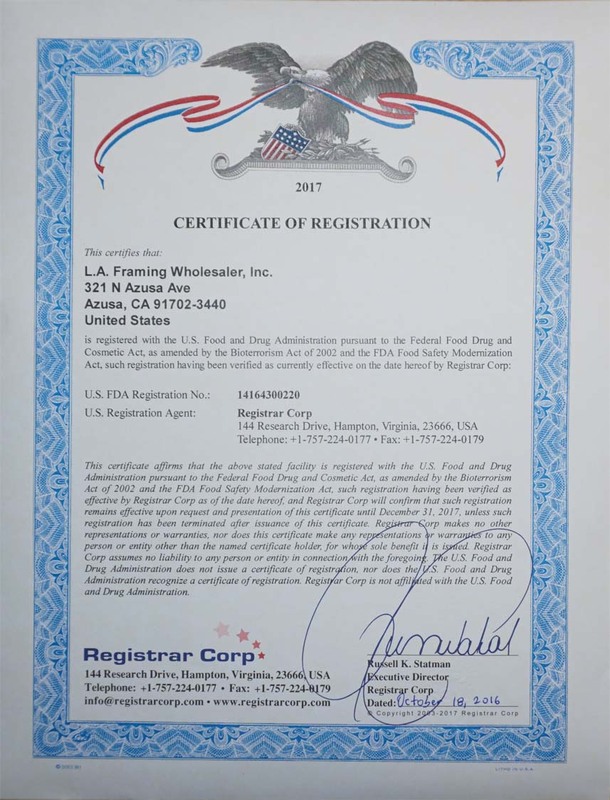 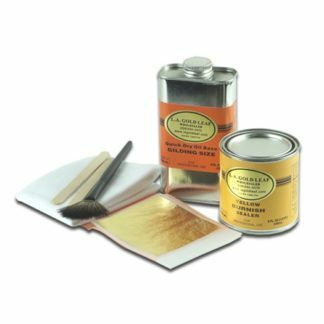 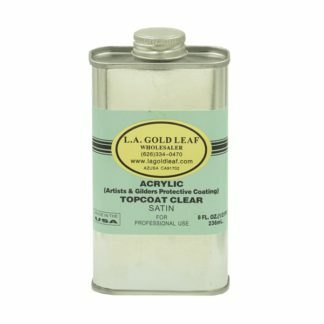 L.A. Gold Leaf Aqua Size does not contain any oils and, therefore, is an excellent gilding adhesive that will not stain papers or other absorbent materials that would normally stain with oil type sizes. L.A. Gold Leaf Aqua Size may be utilized as an adhesive for other decorative mediums such as glass, glass beads, glitters and pearlescent micas. L.A. Gold Leaf Aqua Size may also be used where a two-part conversion protective coating is applied in order to prevent the “lifting” that may occur when an oil or solvent-based size is employed. 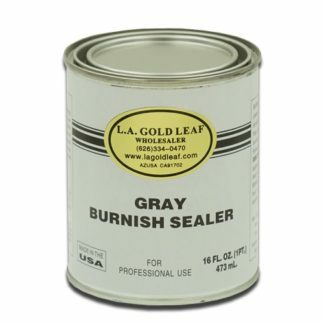 Any vertical surface that does not permit water accumulation is a viable end use. 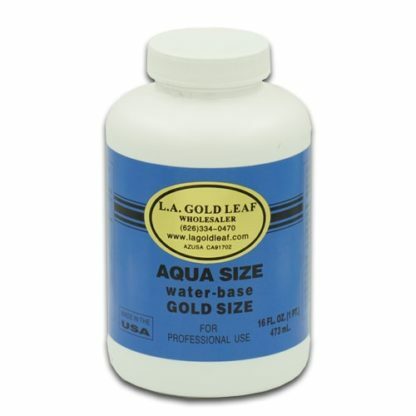 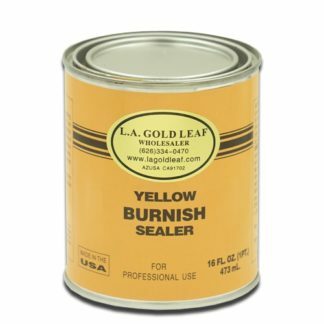 In addition, the L.A. Gold Leaf Aqua Size is emission safe with no fire hazard and minimal toxicity. 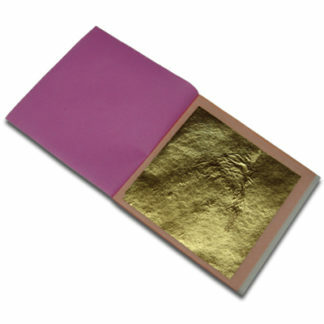 L.A. Gold Leaf Aqua Size affords excellent flexibility and an extended tack time for surface gilding applications. 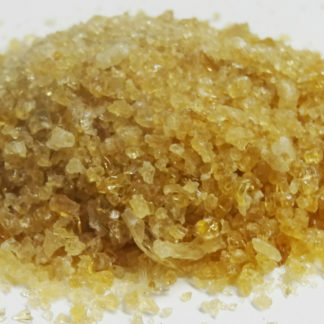 It develops tack in 15 to 20 minutes under normal conditions. 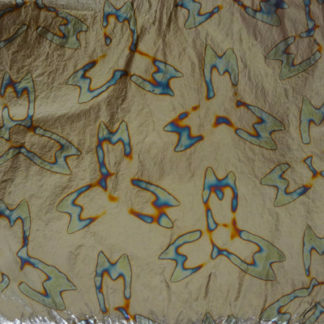 The tack will generally hold between 36 and 48 hours. 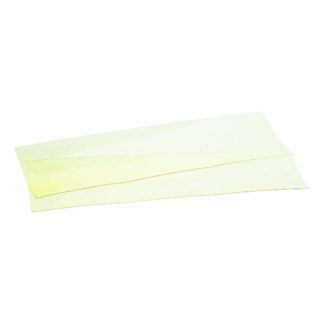 It should be noted that tack times are subjective to the user’s preferences and are approximate depending upon ambient temperature and humidity.